As family historians, we often dream of that ‘great find’ ... a family bible. Religion held a stronger influence in earlier times and a bible was often a gift, given with important significance. So imagine finding a 'family bible' that is not only of religious significance but of enduring family significance. 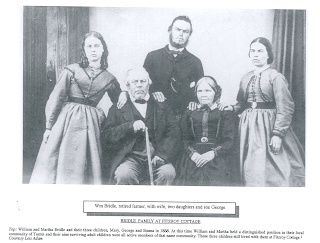 William BRIDLE was born on 4th May 1797 at Crewkerne, Somerset, England. At the age of twenty he was convicted and transported, arriving in Sydney in 1817 aboard the Larkins 1. As a convict he was sentenced to seven years for the act of larceny for stealing a ‘flat of butter’. William was 'assigned' to James Meehan, Colonial Surveyor, at Macquarie Fields. He would have required Meehan's permission to marry free-born Martha MILES on 30th June 1823 at Campbelltown. Martha was the daughter of the First Fleeter convict, Edward MILES / MOYLE. Initial recordings in the family bible were probably by William (as Martha had marked her marriage certificate was a 'X') and this was the start of their family story. First listings on the inside front pages are of William and Martha’s names and their dates of birth. Followed by when and where they were married and by whom, the Reverend Thomas Reddall at St Peter’s Church, Campbelltown. 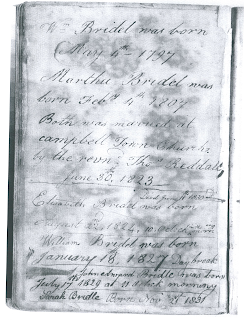 Elizabeth Bridle was born August 22nd 1824, 10 o’clock in the morning at Macquarie Fields. Sadly above her entry and to the side in smaller script records: Died June 11th 1830 is buried at St Peters, Campbelltown. 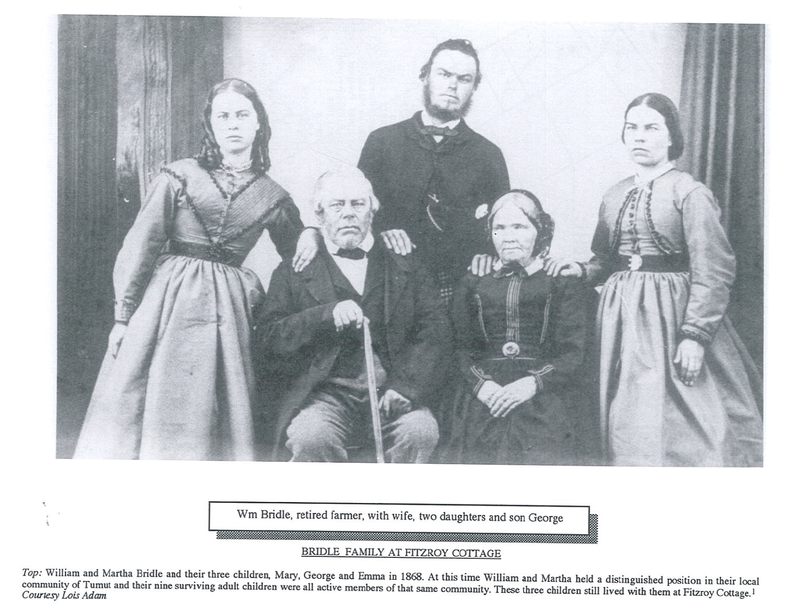 William Bridle was born January 18th 1827 Day break (at Macquarie Fields). 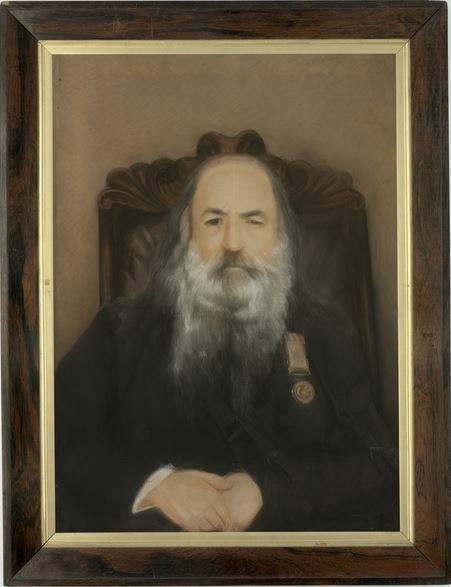 John Edward Bridle was born July 17th 1829 at 11 o’clock in morning (at Macquarie Fields). 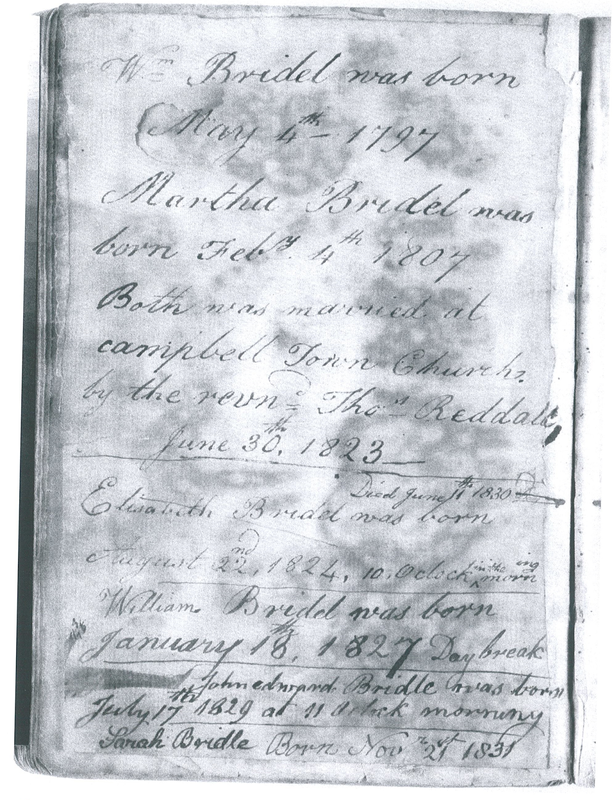 Sarah Bridle born November 21st 1831 (at Macquarie Fields). 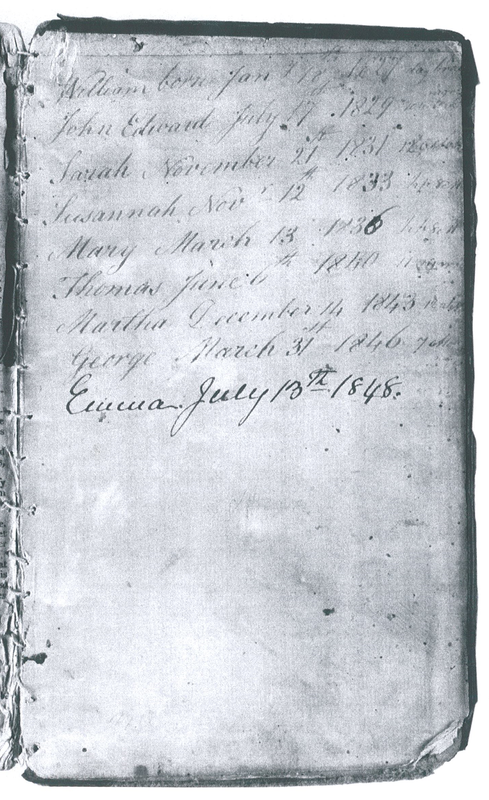 Susannah was born November 12th 1833 at half past eight in the morning (at Macquarie Fields) [written on top edge of following page]. How wonderful would it be to have the exact time of your ancestor’s birth? 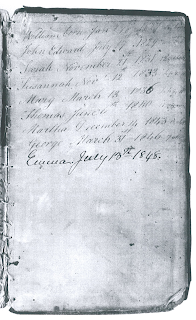 Continued of the back inside pages due to space constraints after Susannah's birth are the names of the above four omitting Elizabeth, possibly completed after her death? Could these be in Martha's hand as she had learnt to write. Mary born March 13th 1836 (at Macquarie Fields). Thomas born June 6th 1840 (at Windsor, NSW). This family bible was placed in the Mitchell Library in 1983 by the Buddong Society (authors of the family history volumes). It is a precious family document and a precious Australian archive. William died at Tumut, NSW on 26th July 1873. 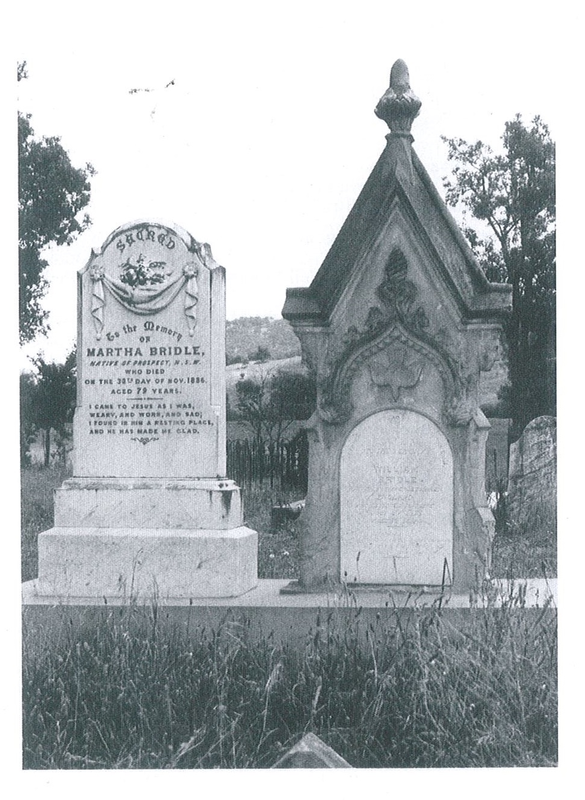 Martha died 30th November 1886 also at Tumut. HJ Daley Library in the Family History room at Campbelltown City Library. Volume 3 – Those precious ones - yet to be published. Three exceptionally well written and comprehensive volumes, written by dedicated descendants. 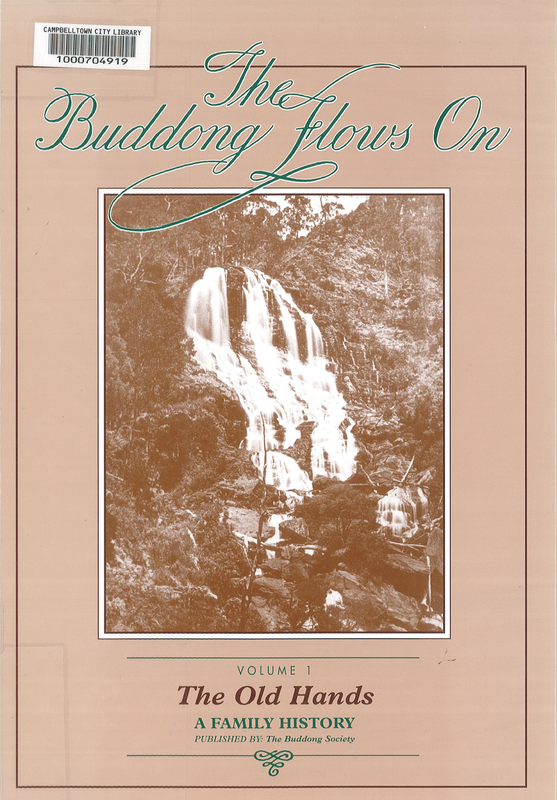 Resources: The Buddong flows on, Volume 1; Campbelltown Pioneer Register 1800-1900; Campbelltown City Library. Photograph courtesy: Mitchell Library, State Library of New South Wales, ca 1821-1852. Early days: Francis Allman was born in 1780 at County Clare, Ireland to English parents. At age 14 he joined the Queen’s Royal regiment as an ensign and over the next twenty years he served in conflicts in the Netherlands, Egypt and Alexandria. Military service: During this time he rose to the rank of captain. In the Peninsular Wars and as a captain in the 48th Regiment, Allman was severely injured in a sabre attack to his head and would have been killed if not for a fellow Masonic brother, a French officer coming to his aid. Sadly the French officer was later killed and Allman taken prisoner until the end of the war. He was granted a life pension of £100 p.a. because of his injuries. Family: Allman married Sarah, the daughter of the 48th Regiment’s paymaster in Gibraltar in 1807. This union produced eight children, 4 boys and 4 girls, the three eldest being born in the UK and the remaining five were born in Australia. He and his family later immigrated to Australia, he in charge of the 48th Regiment and his wife and children as free persons aboard the ‘Minerva’ arriving in Sydney in April 1818. Under orders from Governor Lachlan Macquarie, Allman was sent along with 44 soldiers and 60 convicts to establish a second penal settlement in NSW at Port Macquarie in 1821. Under his command Allman was appointed both Commandant and Magistrate. On a later visit to the new settlement Governor Macquarie, expressed his pleasure at the ‘clean and commodious’ establishment. Allman was later appointed and served as Police Magistrate in several areas Newcastle, Maitland, Illawarra and Goulburn before coming to Campbelltown in July 1836. Campbelltown: Apart for his Police Magistrate duties and during his tenure in Campbelltown he was responsible for overseeing the construction of the water reservoir and cattle tank, in 1838-39 by iron-gang convict labour. 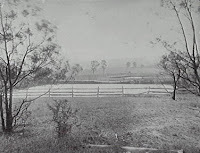 Water was a desperate necessity as there was no natural fresh water supply in the township of Campbelltown until the reservoir was built. The reservoir was first filled in 1840 and decommissioned in 1888. 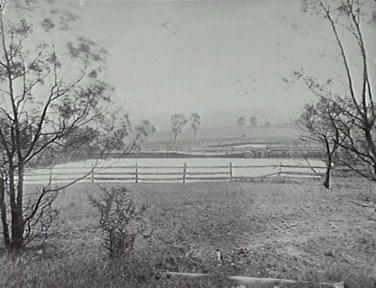 (Remains of this early water supply are still evident: In Hurley Park, bounded by Allman, George and Lithgow Streets). Sadly their eldest daughter Sarah, died at Denham Court, July 1836 in her twentieth year and was buried, with headstone and surround, in St Peters Anglican cemetery, Campbelltown. Lady Jane Franklin (second wife of Sir John Franklin, Governor of Van Dieman’s Land [Tasmania]) visited the Illawarra and Campbelltown in May 1839. The legacy of her extensive diaries gives a wonderful insight to our early area, sadly her comments on Captain Allman and his family were somewhat unkind. 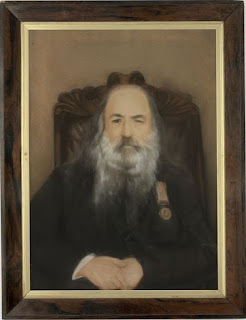 Francis with his family moved to Berrima in February 1843 as Police Magistrate before retiring to Yass in June 1844 and dying there in his eightieth year in 1860, his wife Sarah passing way four years later. He was buried with full military honours. ‘Allman Street’ Campbelltown is named in his honour. A more detailed article will be available in a future copy of the Ghostbuster Magazine. Resources: Campbelltown Pioneer Register 1800-1900; Australian Dictionary of Biography; Trove (NLA); State Library of NSW; Ryerson Index; Diary of Lady Jane Franklin; Allman family website and Campbelltown City Library Service. Welcome. This is the launch of the new blog site for CDFHS Inc.
Keep watching for interesting local family history postings.